Cosmetic dentistry is a term to describe dental treatments that focus on enhancing the appearance of the teeth and gums. This includes improving the colour, shape, size and position of teeth to give them a better appearance and improve their alignment. Dentists are able to do this with cosmetic treatments such as teeth whitening, veneers and bonding. The fundamental aim of cosmetic dentistry is to enhance your smile and the aesthetics of your teeth. 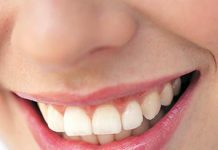 This article details some of the treatments that are offered at cosmetic dentistry Melbourne clinics, including tooth whitening, composite bonding and dental spa treatments. This is a common treatment that’s performed using LED lights and powerful bleaching agents. Tooth whitening is commonly performed to whiten teeth that have become stained or discoloured through eating certain foods or neglecting oral hygiene. The patient can have this treatment done at the dental clinic or at home using custom trays. At-home teeth whitening is often the preferred method, as it’s more convenient for patients, but it’s important to follow instructions carefully in order to achieve the best results. At-home whitening can also take longer than teeth whitening at a clinic, which can often deliver instant results. This is described by many dentists as the most common cosmetic dentistry procedure, providing an effective and efficient remedy for failing fillings. The core benefit of this treatment is that it’s relatively easy to bond teeth compared to other methods that fix appearance without adding strength. Composite bonding can be used for leakages, corrosion and the development of secondary cavities, although they’re usually most suitable for smaller sized cavities. In cases where more than 30% of the inter-cuspal is lost, on-lays may be a better option. Dental veneers made from composite or porcelain can also be used to replace broken or discoloured teeth, and can be customised to resemble the appearance of your natural teeth. Dental spas provide patients with a relaxing environment to ensure they have the most positive cosmetic dentistry experience. Aside from soothing lighting and music, patients can also enjoy additional comforts such as aromatherapy and massage. Studies have shown that dental spas can reduce the number of drugs that are needed for sedation, as they work to relax patients and reduce anxiety. Most dental spas offer a variety of options for cosmetic dentistry in Melbourne, ranging from teeth whitening and gum contouring through to veneers, bonding, crowns and much more. Cosmetic dentistry in Melbourne is gaining popularity as patients discover safer, better and more effective ways of improving the appearance of their smile. With this in mind, it’s important to choose the right cosmetic dentist in order to achieve the best results for tooth appearance and alignment. Finding a dentist that offers a range of cosmetic dentistry options allows you to benefit from treatments that can address issues such as decay, misalignment and discolouring, giving you a smile you don’t have to feel self-conscious about. Previous articleHow Can You Manage 30 Minutes of Walking Daily?